Realized for the Galleria Speciale, this “armchair” was exhibited for the first time at the Expo Arte in Bari, With more disturbing, more ambiguous implications, it harks back to the project of the wearable chair carried out in the United States in 1971, at a time when ideology played a greater part and the intervention was more of an analysis of behavior and a deliberate, ironic critique of social relations and roles. In this case, however, the object is closely linked to its creator. 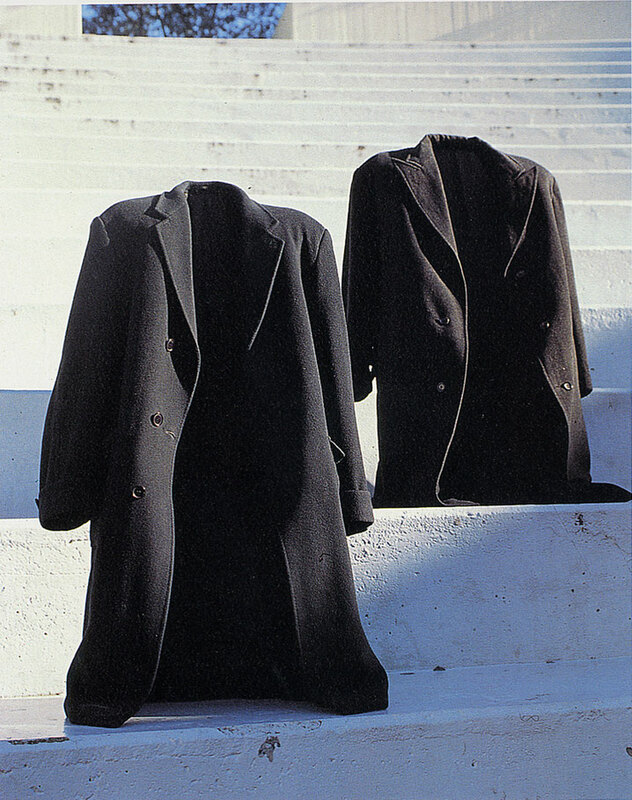 Pettena, who had used one of his old coats to make it, described the installation in these words: “Shadow, extension of my corporeality. I have lived in it, and it preserves my shape, my memory” (G.P., catalogue of the exhibition Habitus, Abito, Abitare). 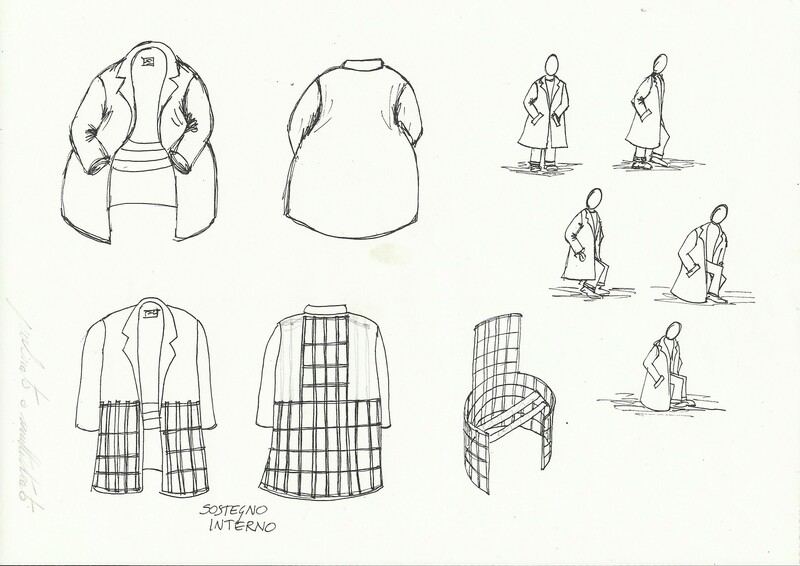 The “overcoat” has flexible elements inserted between the lining and fabric, forming a structure that permits its wearer to sit down, at the same time as rendering it autonomous, for if not worn, it assumes the role of any armchair, which takes no account of who is using it. So the multiplicity of roles, functions and subjects gives rise to an ambiguity, and a source of anxiety for he who, having conceived, made and “inhabited” it, perceives its more disquieting implications, those of an anomalous shadow, of another self that exists even in our absence.